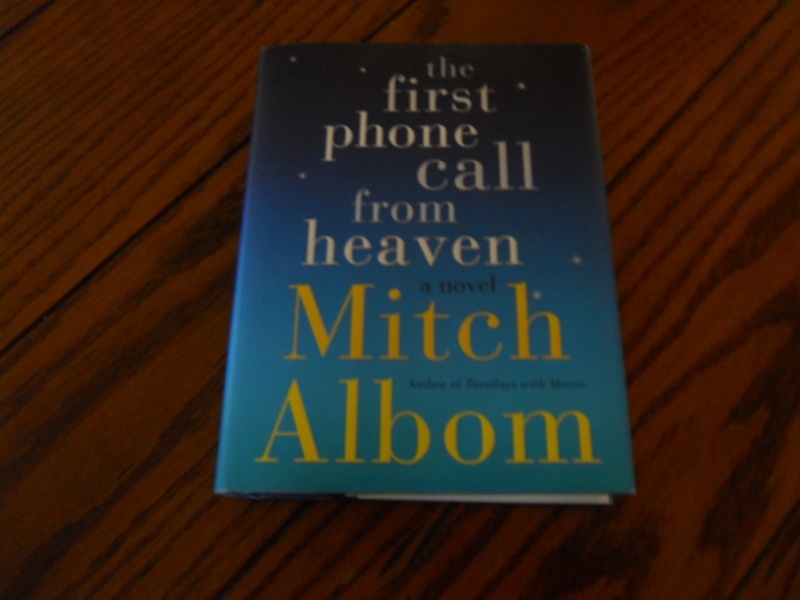 Mitch Albom delights once again with the first phone call from heaven, a beautifully written and engrossing tale of a small town in Michigan, where eight “chosen” ones receive phone calls from departed loved ones. The Friday calls reiterate the truth that there is life beyond death, that “the end is not the end”. As a believer with firm faith in a beautiful life everlasting, a place called heaven, and the concept that our loved ones are never really absent from our lives, the title intrigued me. Granted, the idea that my dad might ring on my smart phone to remind me of his continued existence, refresh my memories of him, strengthen my faith, or remind me of my very real hope for a better world beyond this life was a little farfetched. However, I found this novel to be something more than pleasant “escape” reading. Mr. Albom masterfully reveals a glimpse of how the living are changed by the loss of a dear one and how a tangible sign from those who have died is often longed for. The fact that death often robs us of the opportunity for true closure, leaving words of love, apology, and explanation unspoken, threads its way through the novel. He explores the impact that today’s ever-present news media can have on people and towns who become the latest headline. Throughout the book, one finds intriguing historical tidbits outlining Alexander Graham Bell’s discovery and inviting consideration of how his invention has indelibly changed our lives. One soon finds oneself appalled at the twisted perspectives of the pilgrims who descend upon this quiet little town in search of a link to the hereafter. Questions are raised regarding the fundamental beliefs that drive various characters and how those beliefs are changed as events transpire. The novel is a page-turner of a mystery, a poignant love story, a recounting of wrongs committed and lives changed and restitution made. It was a roller coaster of a read–superficial interest followed by assessment of lifelong beliefs, consideration of today’s love affair with instant communications, an aching need to see evil conquered by good, an irresistible force thrusting me toward the conclusion. I recommend it highly. Nicely written review. I like the quote that you closed the review with – a ringing proclamation of both the author’s gratitude and his faith. Thank you for your encouraging words. Your affirmation is all the more appreciated because of your skill as a writer. Thank you – you are really kind! I look forward to reading this, Kathy, thanks for the review. I always enjoy Mitch’s work. I trust you will enjoy. Thanks for reading my blog!